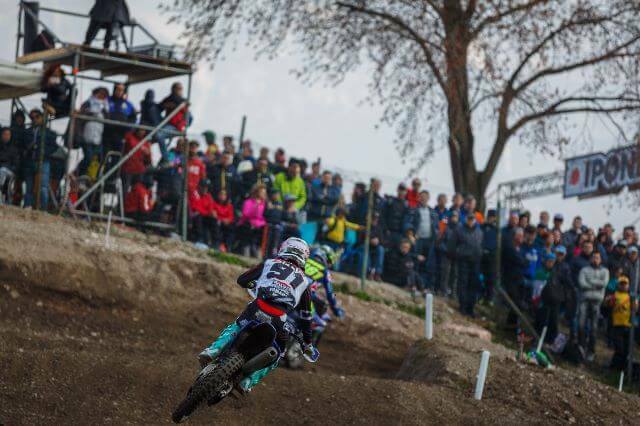 Pietramurata, a picturesque circuit just a couple of hours outside of Milan, played host to the fourth round of the FIM Motocross World Championship this past weekend. 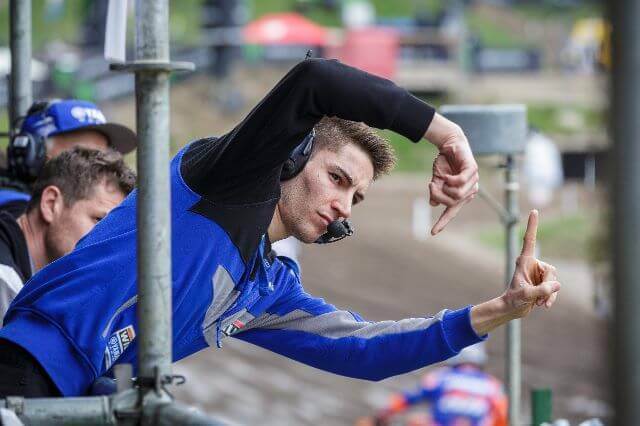 The 33,000 fans in attendance watched the Wilvo Yamaha MXGP riders, Shaun Simpson and Jeremy Seewer, race alongside the mountains and fight to improve their rankings. 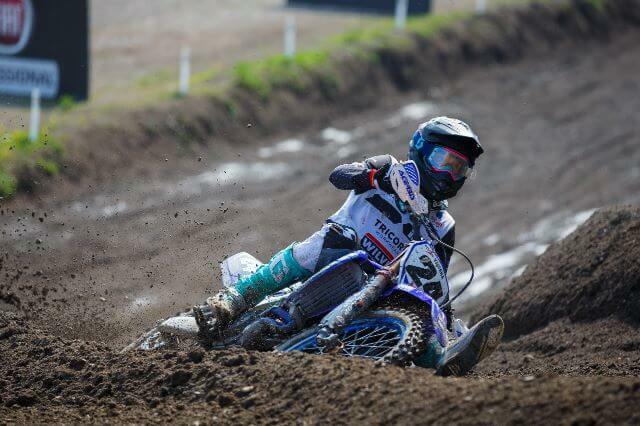 Jeremy Seewer got off to a solid start aboard his YZ450F, as he raced to ninth in the qualifying heat and set himself up well for the motos on Sunday. The gate pick that he acquired was put to good use in the first encounter, much to the delight of his legion of fans in attendance, and then he engaged in entertaining battles. Eighth was the position that he acquired at the chequered flag and he also set his quickest time at a later point than anyone else inside of the points, which is a testament to how comfortable he is aboard his steed when the going gets tough. The second moto looked like it was going to be even better, despite the fact that Jeremy Seewer had a worse start, as he ended the first lap in tenth and immediately had his sights set on the competitors that sat ahead of him. A small crash pushed him back to eleventh, but he still salvaged a tenth and gathered a good amount of points. That scorecard left him ninth overall on the day and also helped him jump up to eighth in the championship standings. Twenty-one measly points separate him from a position inside of the top seven. 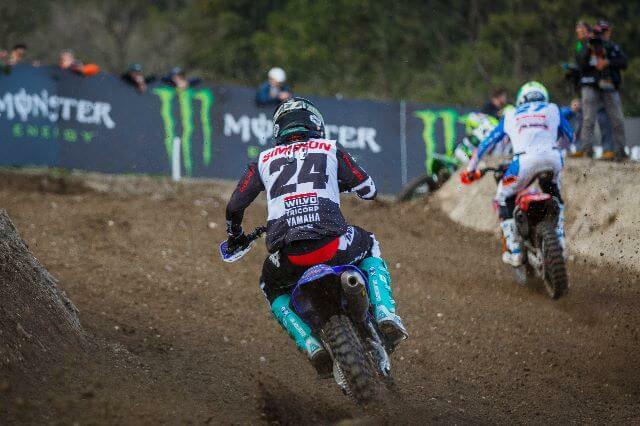 Poor starts restricted Shaun Simpson in each moto, hence why his scorecard suffered. #24 made good progress each time though. After getting locked into an intense duel in the opening moto, he crossed the line in eleventh and was eager for more in the next stint. A fall in the second turn, which was prompted by another rider, left him with a lot of work to do. Another crash on the final lap left him outside of the points. 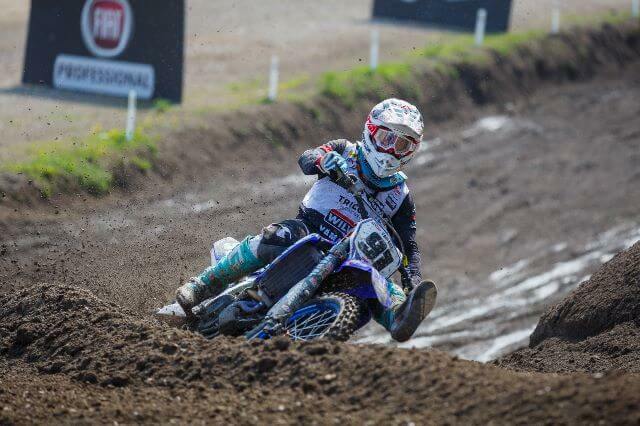 Simpson was fifteenth overall on the day and now runs twelfth in the premier-class standings. 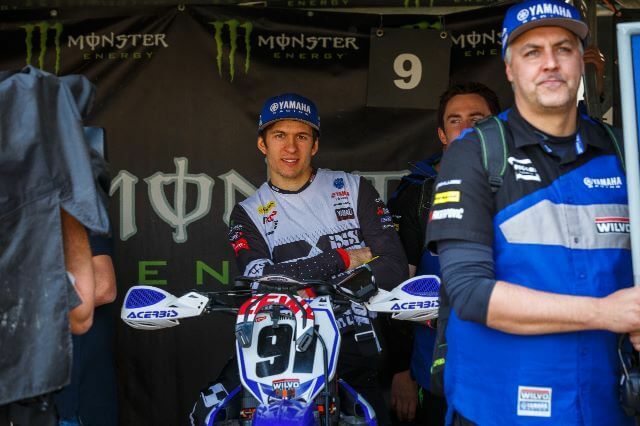 There will be no rest for the Wilvo Yamaha MXGP squad, as the FIM Motocross World Championship will pick back up in Portugal next weekend. The popular circuit of Agueda, which has been on the schedule for quite some time, will play host to that event. 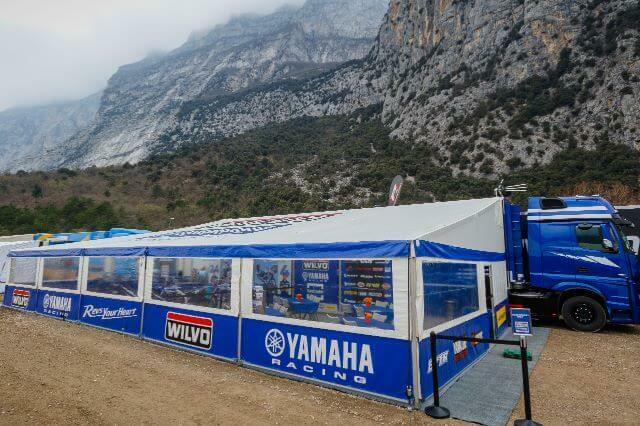 Wilvo - Yamaha Copyright © 2017. All Rights Reserved. WebDesign & WebDevelopment by Proven Web Concepts 2017.